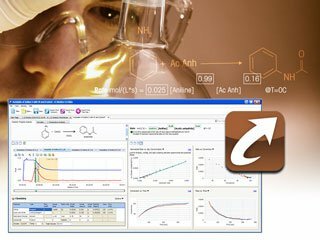 iC Kinetics™ software helps chemists and chemical engineers to quickly optimize chemical reactions. 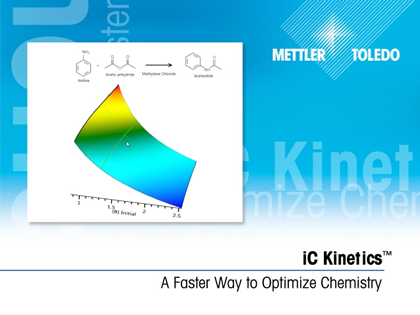 iC Kinetics™ provides a fast graphical way to describe the characteristics of a chemical reaction and create a kinetic model. This model can be used to simulate the effect of concentration and temperature parameters on the performance of the reaction. This data is generated in fewer experiments than using a traditional approach, leading to a faster way to understand and optimize your chemistry. Seamlessly import data from other iC Software such as iC IR™, iControl RC1e™, and iControl EasyMax™.